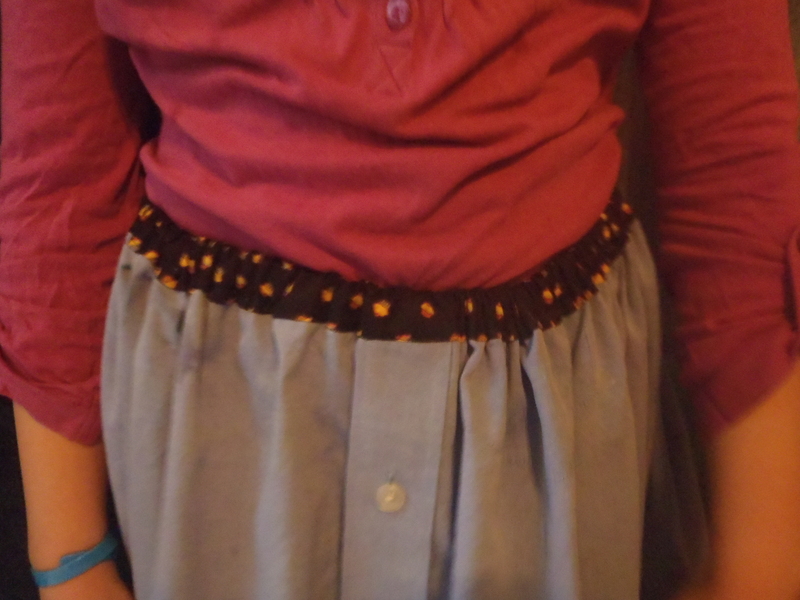 Today I sewed a skirt for my youngest daughter which was one of my goals for this summer. A skirt for Rebekah was not one of my explicit goals. However, my husband recently decided one of his shirts was no longer wearable. I really struggle with throwing clothes away even when they are no longer any good to the person who owned them. So I started thinking, and I thought I could make a skirt out of this shirt. When my girls were smaller I made summer nighties and dresses for them from my husband’s shirts. The fact that he is 6′ 7″ and has larger shirts helps. It would work better if Rebekah was a little younger/smaller, but as you will see I made it work. 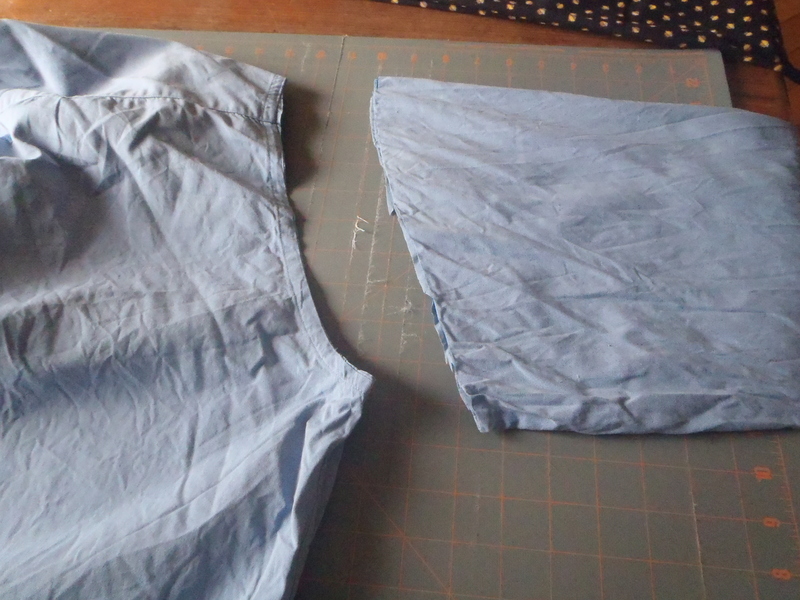 First, I cut off the sleeves. Then I trimmed the shirt off at just below the underarms and trimmed the bottom. I liked the idea of the buttons on the shirt running down the front of the skirt. As it turns out I was right – it’s cute. Since I needed more length I made a casing for the elastic which I sewed to the top. 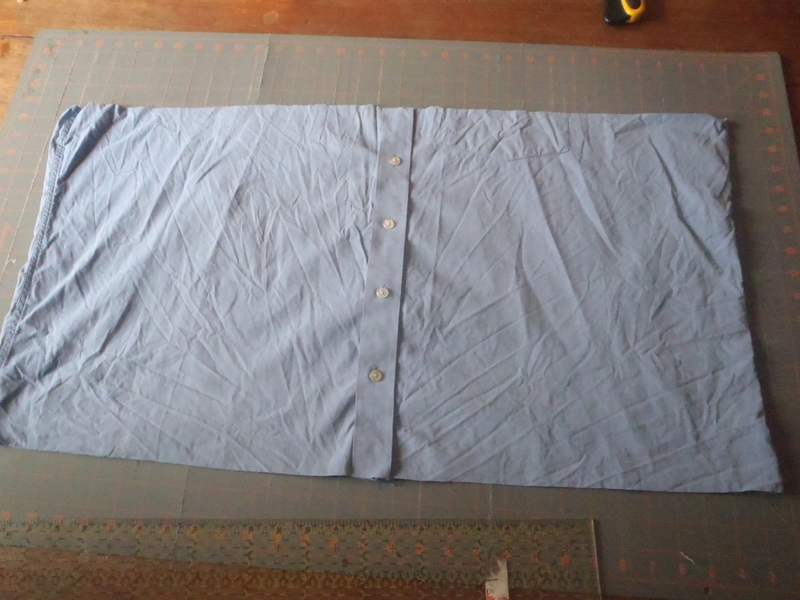 Then I sewed a piece of fabric to the bottom to add length and to make it prettier. This project cost me nothing because I had all of the materials. The fabric was something I had had in my stash for years. I always buy big spools of black and white thread so I have lots of that. The elastic was also something in my things. 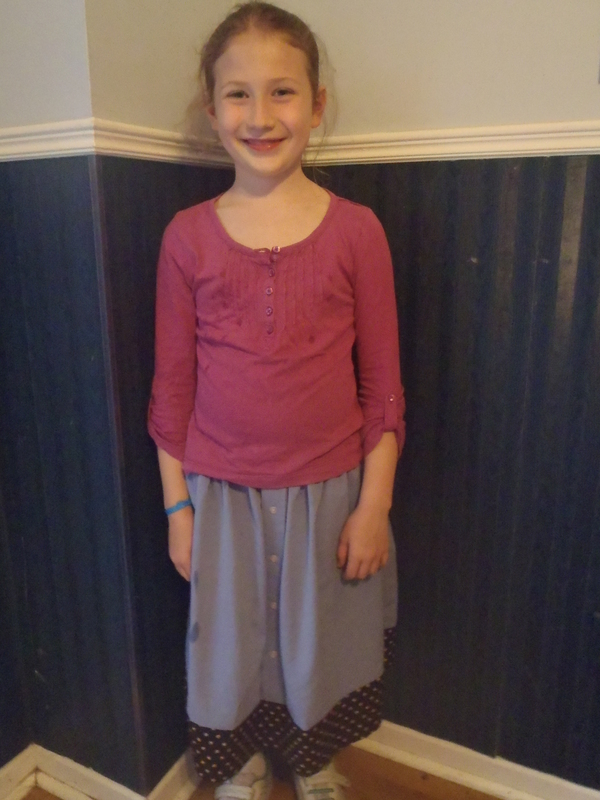 My daughter is thrilled with her new skirt. I had a lot of fun with this one.